I've reviewed this book before. IDW had previously published this book with a different cover in 2009. The 2011 edition sports a white cover but the content is the same. It's now available at a saner price as the earlier edition is out of print. Ashley Wood's art is still loud and dramatic. Hmm....I'm debating whether to get this, or the MGS HD Collection limited edition game with the art book. 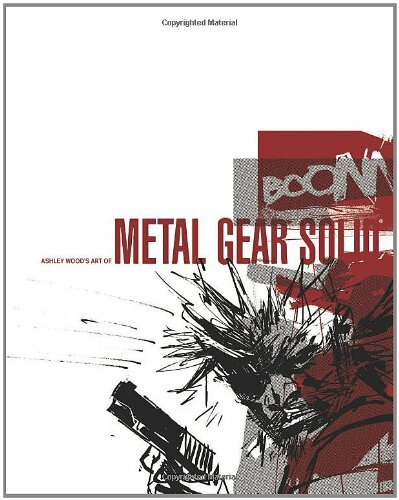 The game comes with a larger book, but I'm not sure if it'll have the Ashley Wood pieces. Just recvd this copy as post X'mas boxing day in the evning fr my godbrother " ADAM ". Awesome artwork and worth the collection of the various pieces covering te MGS series of 1,2 and portable ops. Top Notch a must have for all Ashley Wood / MGS fans out there.